At the June 8 Commission meeting, highlights include approval of the agency’s fiscal year 2017-18 budget, a presentation of the Office of Child Protection’s prevention plan draft, a strategic partnership with the Los Angeles County Office of Education and a farewell to Commissioner Dayton Gilleland. In a unanimous vote, Commissioners approved the first budget under First 5 LA’s new organizational structure – a 2017-18 fiscal year allocation of $144,873,104. Among the highlights in the new budget are an overall decrease of $2.1 million from the previous fiscal year budget; an increase of $5.2 million to support the 2015-2020 Strategic Plan; a decrease of $7.7 million in Legacy Resources; a net decrease of $2.5 million in total programs budget and an increase of $378,946 in support of operating resources. The full budget is available to read here. In particular, this is the first budget reflecting First 5 LA’s new structure and staffing aligned to First 5 LA’s strategic direction, which moves work forward to advance the goals of the 2015-2020 Strategic Plan. Among the key themes reflecting this in the budget include partnership-based work; a focus on policy and systems change; sustainability planning; responding to emerging opportunities; staff development/support; and cost effective operations. In other fiscal actions, the board approved 66 contract renewals for fiscal year 2017-18 and a new, 3-year, $2.5 million strategic partnership with the Los Angeles County Office of Education (LACOE) to establish a common Quality Rating and Improvement System (QRIS) data system for Los Angeles County. The meeting also included a presentation of the Office of Child Protection (OCP) draft Prevention Plan for Los Angeles County. Following the recommendations of the L.A. County Blue Ribbon Commission on Child Protection in 2014, the OCP was created and tasked to increase coordination and accountability to improve child protection in the county and to oversee the development and implementation of a comprehensive, countywide prevention plan for reducing child maltreatment. OCP Director Judge Michael Nash walked the Board through the process and the prevention report, which received support from First 5 LA that was spearheaded by First 5 LA Executive Vice President John Wagner. A draft of the prevention plan can be found here. 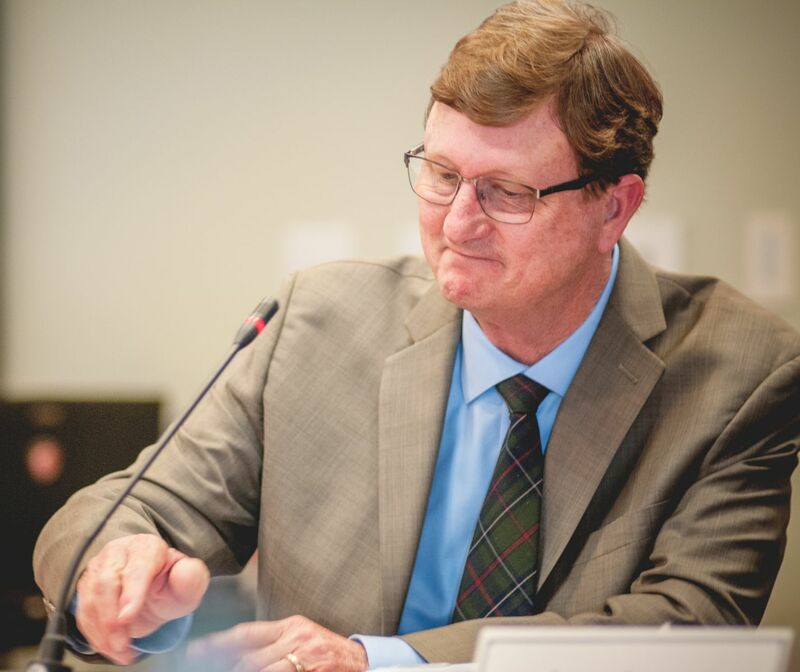 Last but not least, in a ceremony that has become all too familiar this year, the Board bid adieu to retiring Commissioner Dayton Gilleland, who had been representing the Los Angeles County Office of Education for the past two years. Noted for being a man of few words himself, Gilleland was presented with a framed “word cloud” from First 5 LA staff that included “thoughtful”, “committed”, “engaged”, and “humble”. First 5 LA leaders and Commissioners had a few choice words of their own for Gilleland, as well. Board Chair and L.A. County Supervisor Sheila Kuehl thanked Gilleland for his “serene and calm approach” that he brought to every consideration facing the Board. True to form, Gilleland was brief and eloquent in his appreciation.